A lot of people are trying to eat healthier. Healthy eating means you need to prepare meals that are good for you. But that’s hard to do unless you have the right kitchen appliances to help you in your healthy eating journey. Crockpot cooking is one method you can use to help make sure the meals you get are healthy. These appliances can keep help food keep the nutrients that would normally be destroyed by other cooking methods. 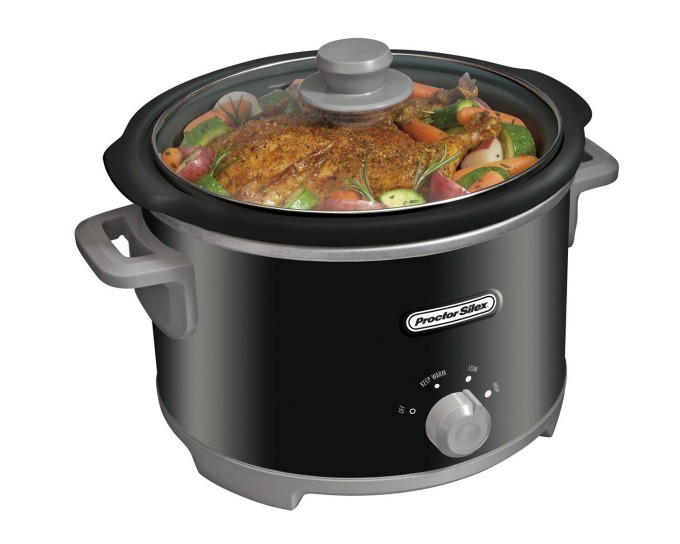 Though there are numerous crockpots available, you’ll want to choose one based on size, convenience and safety. We’re featuring three different models that all have great features. Links may be affiliate links. We’ll make a small commission at no additional charge to you if you purchase through the link. 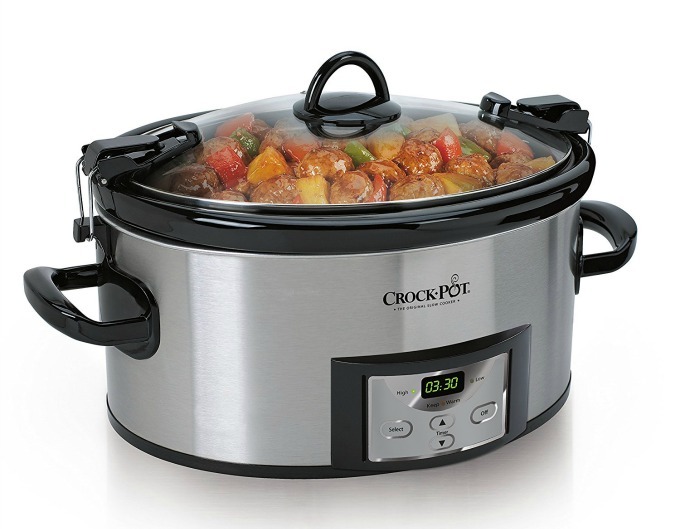 The Crock-Pot SCCPVL610-S 6-Quart Programmable Cook and Carry Oval Slow Cooker is one that meets all of the criteria. It’s roomy, thanks to the 6 quart capacity, which allows you to cook a large roast big enough for a large family or for planned leftovers. This crockpot comes with a locking lid, which is an important safety feature. If it somehow gets tipped, your food won’t spill over. Plus, this Crock-Pot model has a seal on the lid. This is particularly great if you plan to take the crockpot with you to a gathering. The seal will help keep your delicious dish within the pot. You can even program the crockpot to start cooking so it’s ready at a pre-determined time. Like, when you get home from work. And when it’s done cooking? The crockpot will change the setting to warm. WHOA! It’s easy to clean up, too, since the stoneware can be separated from the electrical components for easy washing, as well as serving. 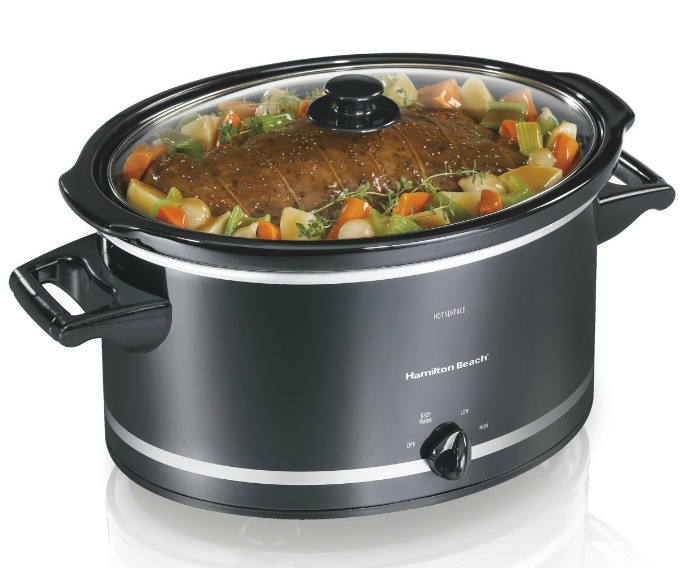 If you’re looking for a crockpot that’s slightly larger than the 6 quart, then you can get the Hamilton Beach 33182A Slow Cooker. This size is perfect for cooking a roast or a whole chicken. Really, this size is great for just about any dish to feed a large group of people. 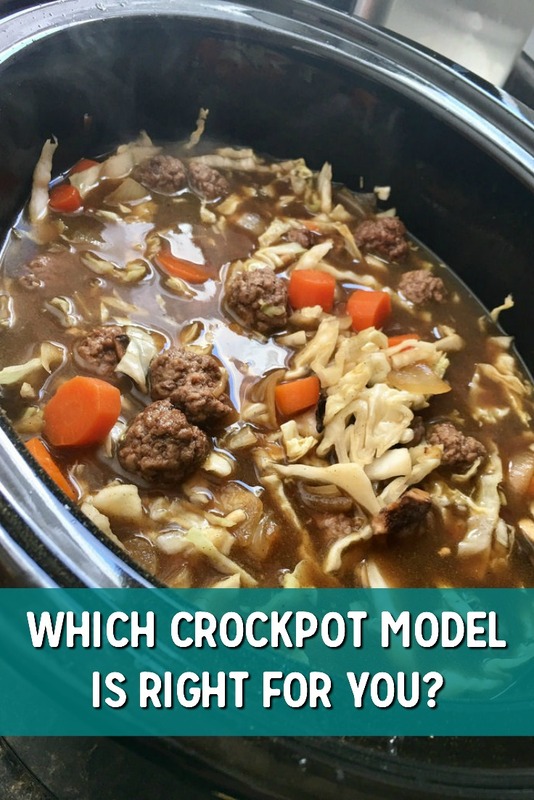 The crockpot can be set to cook on low, high or warm. The warm feature is used to prevent overcooking, but keeps the food hot enough to be served. Like the Crock-Pot model above, the lid has a secure lid latch. This not only helps to keep the food from spilling if it gets knocked over while cooking, but it also keeps the food from spilling when you move it. With handles that are wide and easy to grip, and the secure latching lid, this Hamilton Beach slow cooker is great to take to tailgates or parties. You can remove the stoneware to wash it or to use it for serving straight from the crockpot to the table. This model also has a convenient cord wrap, which keeps the cord out of your way when storing the crockpot. Sometimes, less is more and you don’t need a large crockpot to eat healthy meals. You can get the Proctor-Silex 33043 4-Quart Slow Cooker to prepare some of the same dishes you could with a larger model. This model has low and high settings for cooking. It also has a warm setting to help keep food at that perfect ready to eat temperature. The stoneware liner is removable and both the crock and the lid can be washed in the dishwasher. While the Proctor Silex slow cooker doesn’t have a rubber seal around the lid or the top of the pot, it’s not a deal breaker. It does let air escape as the food cooks. However, this isn’t necessarily a bad thing since it shouldn’t affect the taste or cooking of your dish. You can still make healthy meals. What it does affect is your ability to take the crockpot to gatherings. The odds of having a spill are a lot higher with this model. Using a crockpot for your meals and having the food ready when you want it is a great way to cut down on grabbing unhealthy foods when you’re hungry. How often do we grab a quick take out meal because we don’t feel like cooking? Knowing that you have a healthy meal waiting for you at home will help to cut down on that urge.